Do you sometimes find you try to delete files, but you are blocked by Windows, and don't know why? 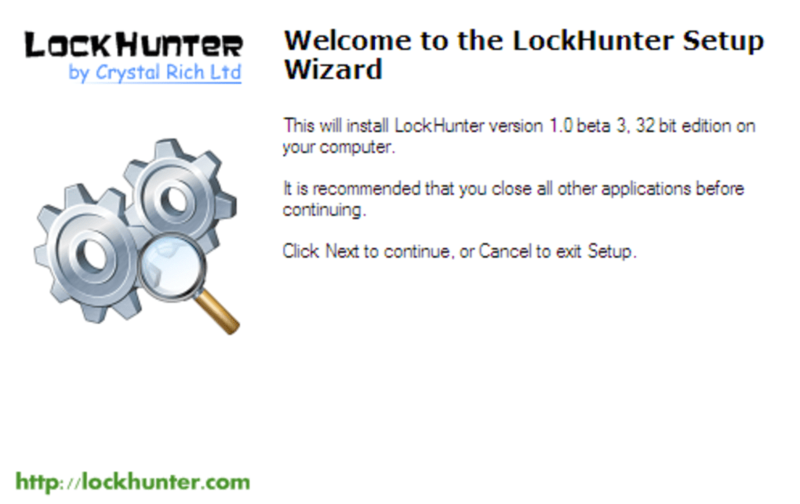 You need to try a program like LockHunter. This simple application works in two ways. First, you can open LockHunter and fin out what's blocking yor files from there. 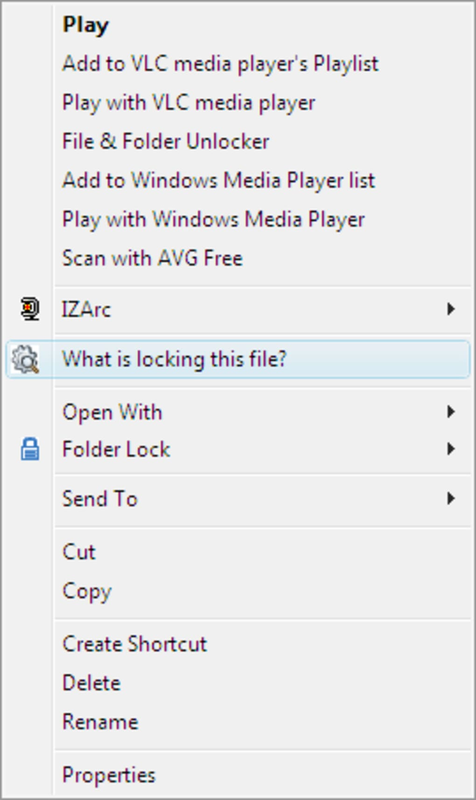 Alternatively, installation of LockHunter adds a "What's locking this file?" option to the right-click context menu. Just right click on a blocked file, and you can access the application that way. When LockHunter is activated on a blocked file, it will tell you what process is stopping deletion, and allow you to stop that process. Files are deleted to the recycle bin, so just in case you delete something important, you can return it to it's rightful place. 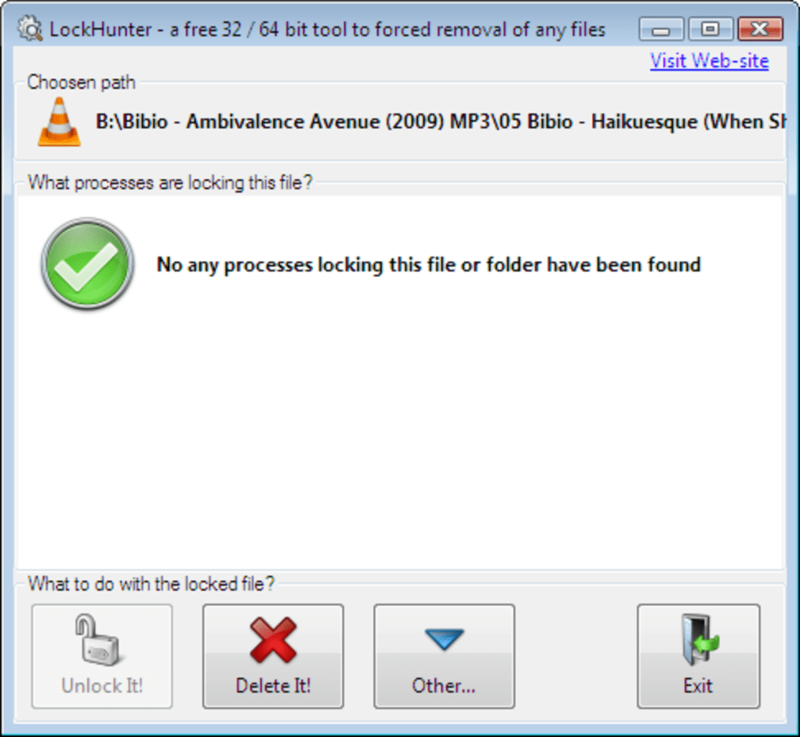 Like many programs of this type, LockHunter offers no advice over whether you should delete the blocked file! Not all users will be able to rely on their knowledge to decide what should be deleted or not. Despite the lack of Help, or any advice, as you can restore anything you delete, LockHunter is safe to use. Its interface is bold and attractive, and fits very well with a Windows Vista/7 look. 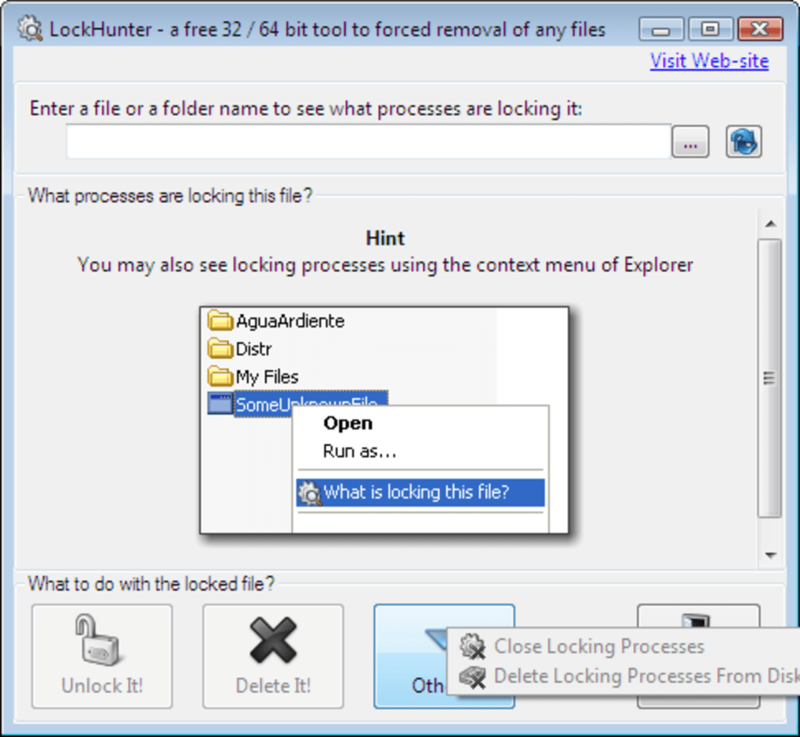 LockHunter is easy to use and a safe way of deleting those files that just don't want to go away!